Considering that credit cards are increasingly becoming the mode of payment not only in America but in the whole world, you may be on the loose end if you are running a business and not accepting credit card transactions. According to reliable research by BAI Research and Hitachi Consulting on Consumer Payment Preferences, 41% of shoppers have cut down on their use of cash while 97% of respondents are turning to credit and debit payments instead. This is to say that almost everyone in the United States, including business owners, have one credit card at least in their wallets. Going by the above statistics, you may be rethinking your business decision on credit cards, especially if you are not offering credit card payments yet you want to improve sales and efficiencies in your business. Taking credit card payments will establish your business in the industry as legitimate. Displaying the logos of the credit cards you accept on your website or cash register will alone grab the cardholder's attention and make them somehow trust your business. Again, providing both your clients and prospective clients with more options in terms of credit card payments will please them and make them satisfied with your business, which in essence will improve your placement in the market. Therefore, accepting credit cards will increase your business' level of legitimacy and instill rapport and trust with your customers. Cash-only operations will obviously hinder business sales and make the business to lose hundreds of prospective customers. However, when a business accepts credit card payments, its potential customer base expands massively as more customers are attracted, thereby likely to boost sales. Keep in mind that most people prefer using credit cards because it is safe, legal and convenient. Credit card payments practically eliminates any risk of having to deal with matters that revolve around receiving a bad or bounced check. You will not have to risk a huge chunk of your money on bad checks or wasting time having to track down the customer to properly pay for the goods or services. In most cases, credit card transactions are electronically processed and are likely to be settled quickly. If this process goes normally as it always happens, then the proceeds are immediately deposited in your business bank account by the processor within a matter of days. This will not only increase and improve your cash flow but will discard issues revolving around checks, billing and invoice collection from your customers. 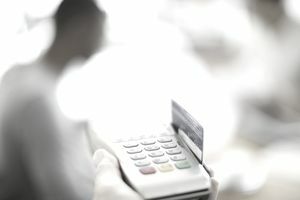 It is true that a business may lag behind competition if it does not accept credit card payments, especially when competitors are already offering credit card payments. To survive, a business should accept credit card payments, which will obviously bring it to a level playing field with other competitors in the market. Many businesses, especially small businesses, may be worried about incorporating credit card payments thinking that they are expensive, which is not true. Credit card processing has today become a very competitive industry with many processors offering merchant service packages that are likely to work within any reasonable business budget. The credit card rates are so low that even the smallest business can afford to accept. In any case, if your business is yet to accept credit cards payments; these are just some of the reasons why you should firmly consider incorporating it in the business. It is definitely a great way of increasing sales, let alone its importance on other components of the business, such as legitimacy.